The opportunity to explore new international teaching horizons – and to share those experiences with their children – has led two UW College of Education alumni on a professional and personal adventure spanning three countries so far. Sarah Lee (BA ’81, elementary education; MS ’96, family and consumer sciences) and Stewart Shipman (MS ’00, instructional technology) are no strangers to international travel. The couple, who met in Evanston where Lee was working in her first teaching assignment, spent six years biking across the world together before eventually marrying and returning to Wyoming for graduate school. This time, Shipman and Lee shared the adventure with their children, Klaus and Nathalie. In fact, the doors that teaching and living abroad opened for them was one driver of the family’s decision to apply to teach in an international school. At the time, the family lived in Newcastle, Wyo., where Shipman was the high school librarian and Lee taught distance-delivered courses for the UW Department of Family and Consumer Sciences while rearing their young children. As the desire to consider working in an international setting grew, the couple began to explore options that would meet the needs of everyone in the family. The couple accepted their first international teaching assignments in 2004, at the Anglo-American School of Moscow. Stewart was the elementary librarian, serving 650 children from varied backgrounds, while Sarah taught a pre-K class. “Many aspects of our life were quite insulated,” Shipman says of the family’s Moscow experience, resulting in fewer natural interactions with Russian citizens and chances to live the culture and learn the language. The family’s next stop, at a school in Rotterdam in the Netherlands, offered a different kind of experience. Experiencing local life as a family required much less effort, and the children enjoyed more freedom to fit their growing maturity. They were treated more as residents, able to explore and participate in the life of the community. Lee taught kindergarten and Shipman directed the K-12 library from 2007-10. A third move took the family to Hannover, Germany, for six years. Shipman again served as the school’s K-12 librarian. Lee taught kindergarten for two years, then first grade. As one might expect, language challenges existed in each setting. The schools in Moscow and Rotterdam provided language assistance for staff and their families. In Hannover, the challenges arose within the English-speaking school, as German was the social language of choice. The family tried to learn the local languages but found the study time required to become proficient challenging – especially for the adults. Communicating across language barriers wasn’t new to Shipman and Lee, who found ways to address the necessities during their bike trip without immersion in local language. Shipman acknowledges that is a potential disadvantage of extensive travel. Balancing family and professional needs drove decisions leading to each move. Among the top considerations: would the school provide the kinds of opportunities that fit both children’s needs? Access to an international baccalaureate (IB) program was one factor, both for the children and their parents. Other practical considerations included staff openings for both Lee and Shipman, location in a country of interest to the family, and the size and composition of the school’s students and staff. While they originally considered returning to the United States for the children’s high school experiences, Klaus and Nathalie ultimately graduated from their Hannover school. Klaus chose to return to the U.S. for college, studying recording arts and computer science at Loyola Marymount University. Nathalie recently started her freshman year at the University of British Columbia in Vancouver. Shipman says he considers it a point of pride that his children could be placed anywhere in the world and be okay, thanks to the resilience they developed while living and learning overseas. “Their hometown is the world,” he says. 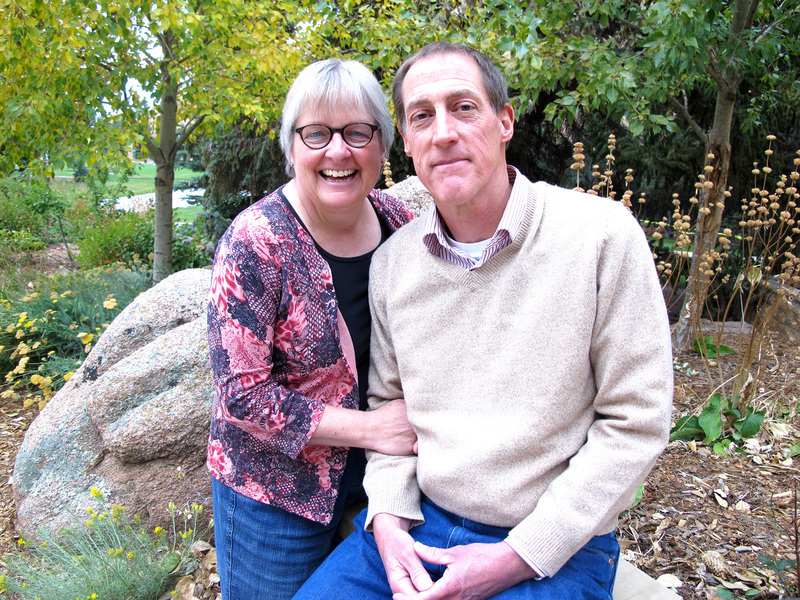 As their children launch new, independent lives, Lee and Shipman prepare for a new adventure of their own, working at the Bilkent Laboratory and International School in Ankara, Turkey. Shipman accepted a position as the grades 1-4 librarian. Lee’s teaching assignment is yet to be determined. The couple planned to move to Ankara in time for the start of fall classes. Those plans were put on hold this summer following the attempted coup of the Turkish government. Among other casualties of that July event: the immediate dissolution of the country’s education ministry. In an instant, 15,000 education employees lost their jobs, including those who assisted with processing the documents required of new international hires. But recently there has been movement on that front, and Shipman and Lee look forward to what, because of their ages (60 and 58) will likely be their final international teaching posts, in a setting that differs from previous experiences in interesting ways. One of the bigger differences will be the student population, with 70 percent Turkish children, and 30 percent children of university staff. The school, affiliated with Bilkent University, also features bilingual education, yet another opportunity to expand their professional experiences.